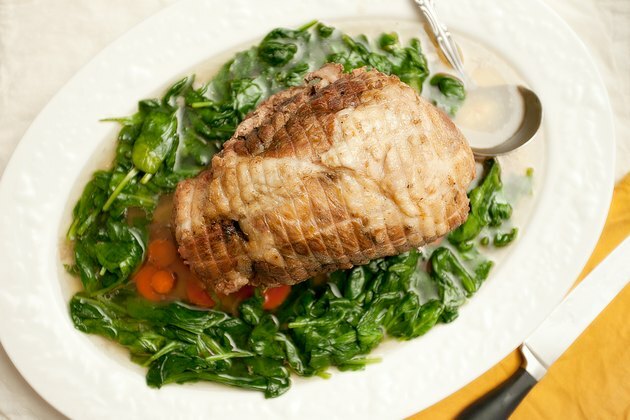 Shoulder cuts of pork are used for a number of preparations, from fork-tender pulled pork to ham-like smoked shoulders. 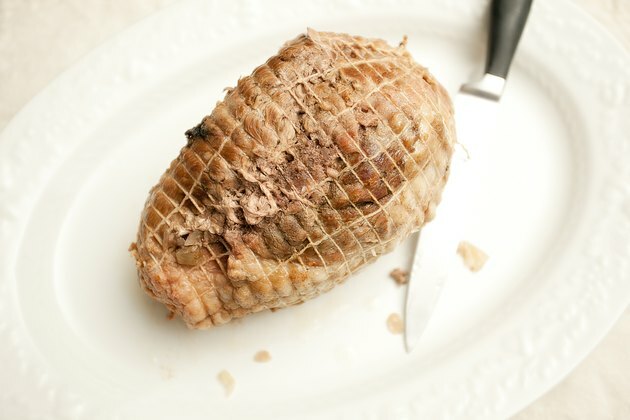 One unusual form of pork shoulder is the so-called "cottage roll," common in Canada and Britain but seldom seen in American meat cases. It's a boneless piece of pork shoulder that's cured in brine, but it's spiced like corned beef rather than ham. Its flavor falls somewhere between those two more familiar foods, and like them it lends itself to preparation in the slow cooker. Open the packaging and drain any brine from the cottage roll. Rinse it thoroughly under cold running water, then pat it dry. 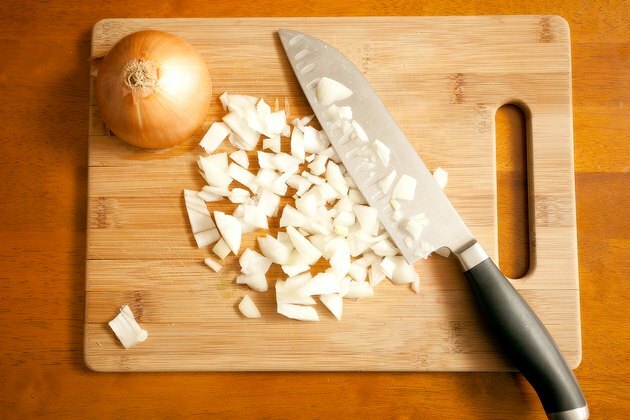 Coarsely chop a medium onion and put it in the bottom of your slow cooker. Add a chopped carrot and bay leaf, if you wish. Both will infuse a mild but pleasant flavor into the cottage roll. Position the cottage roll on top of the vegetables, and pour in enough water to come halfway up the sides of the pork. Cover the pot with its lid and plug it in. Simmer the cottage roll for 3 to 4 hours on your cooker's High setting, or twice that time on the Low setting. 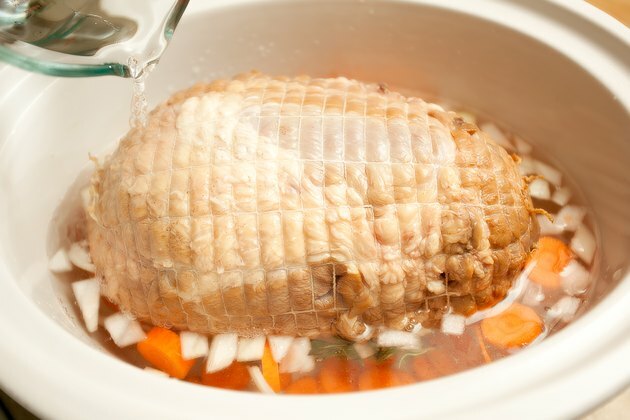 Turn the pork midway through your cooking time, so each half spends an equal length of time submerged. The roll is cooked when it reaches an internal temperature of 160 F, or it can be cooked further until a fork slides easily into the muscle. Rest the meat for 10 to 15 minutes before slicing it. Cottage rolls can be cooked in the slow cooker without added liquid, but they must be soaked first to remove the excess salt. This makes them more palatable, and healthier. 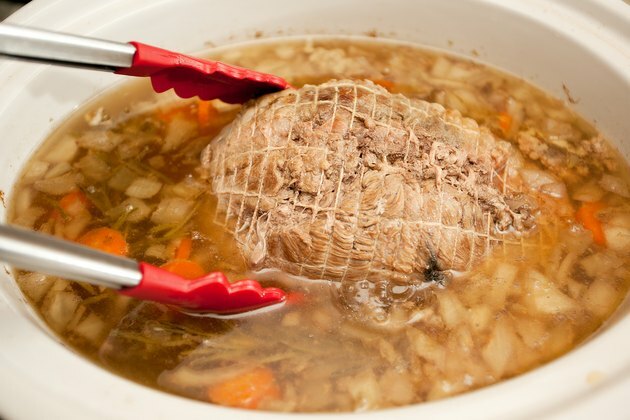 Cover the roll with clean, cold water and refrigerate it overnight, then drain it well and cook it in your slow cooker for approximately the same length of time. If your sodium consumption is otherwise within allowable limits, you can use the flavorful broth from the cottage roll as a cooking liquid for vegetables or beans. It should be strained first, and any fat ladled from the top. If you refrigerate the broth, the fat will harden and be easier to remove.